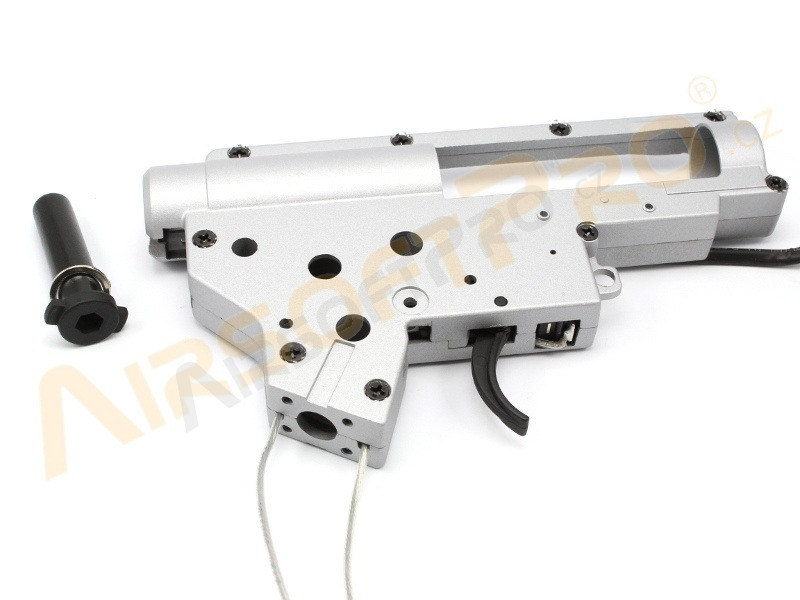 Gearbox frame for M4 / M16 / or HK416. Dimension meets Marui standards. The holes for the bearings have a diameter of 8 mm. 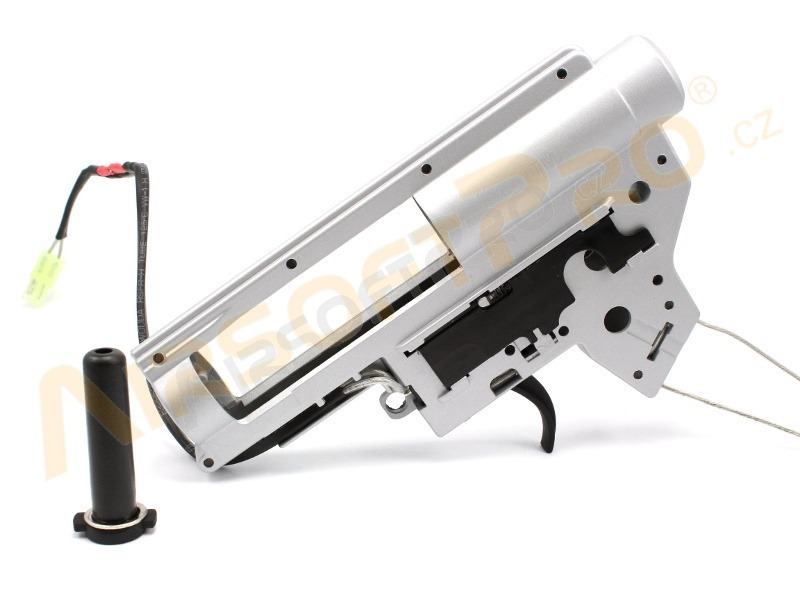 It is made of metal alloy and front part is reinforced to reduce break down risk. 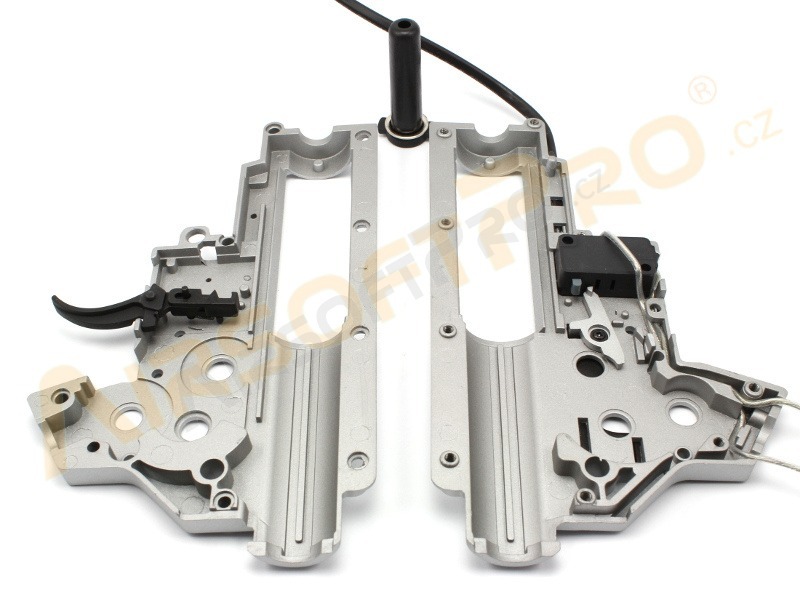 Package also include spring guide.An interesting feature of this gearbox is hot swappable springs. The spring guide can be unlocked by turning in locks and slides out. 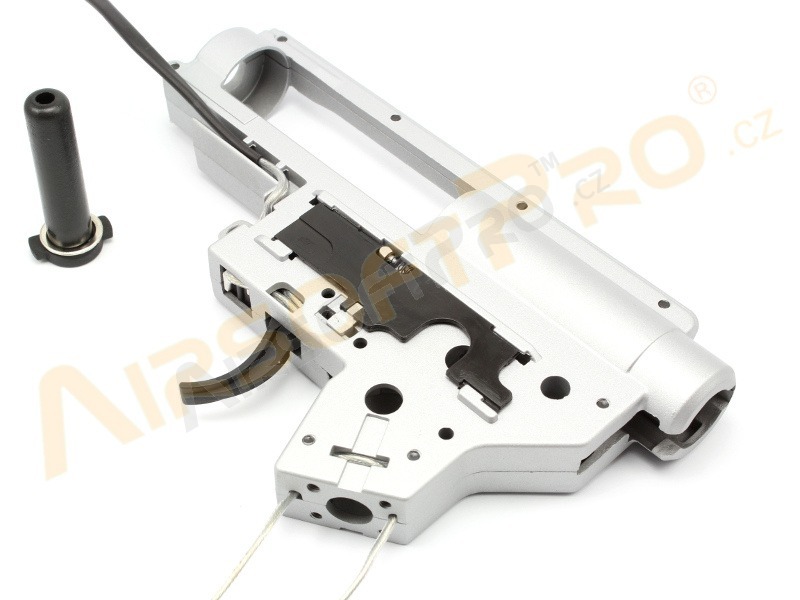 Spring guide has metal back plate, ball bearing and plastic body. 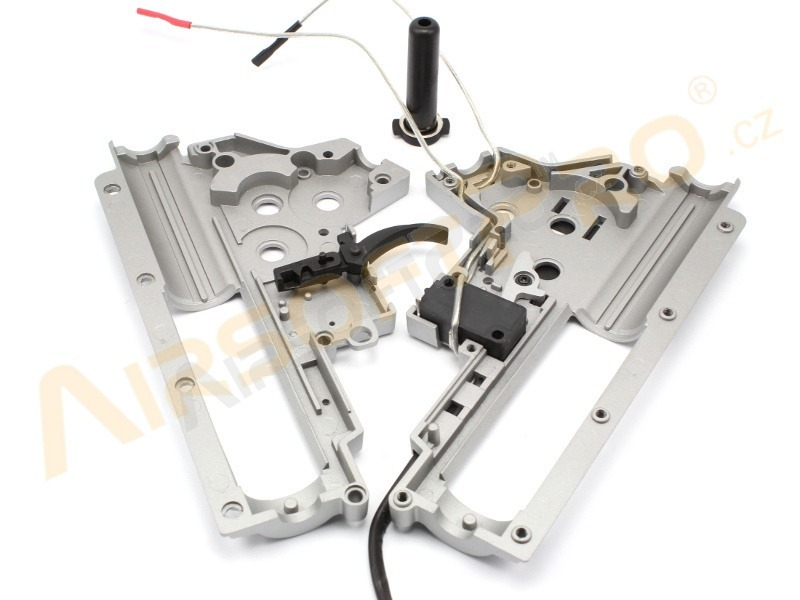 Wiring is low resistance with silver. No fuse Wiring is long enough for front wiring. Equiped with small Tamiya connector. 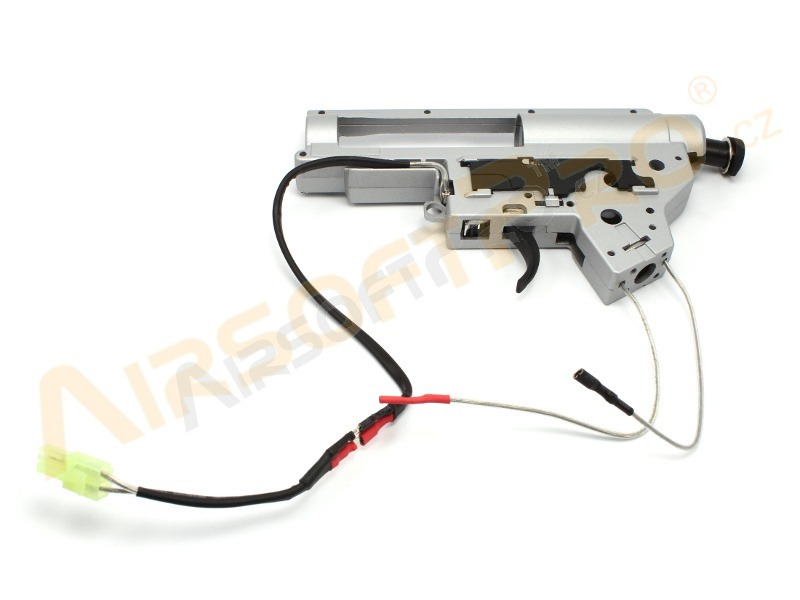 Classic trigger contacts are replaced by a microswitch. It provides a fast, short and sensitive response to the press release. During normal load current 15A microswitch lasts about 50,000 rounds. 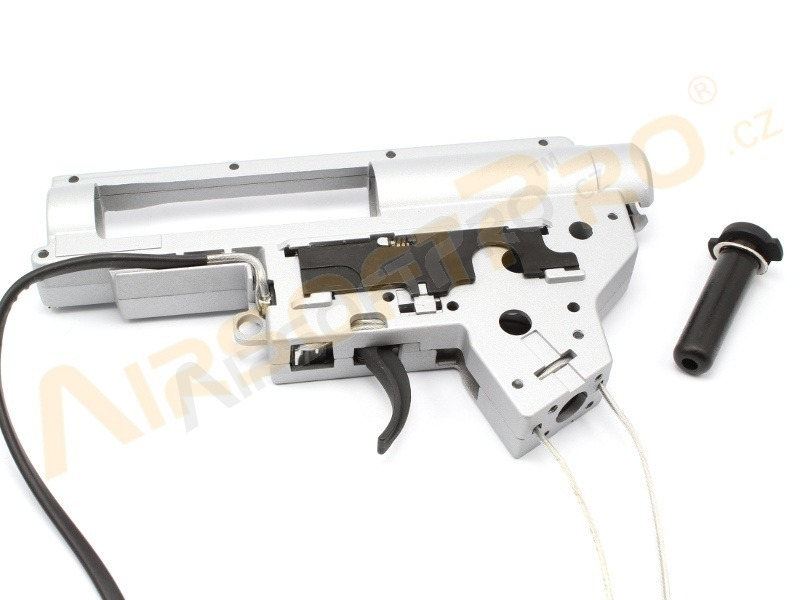 Gearbox frame also include trigger, cut off lever and selector plate !